All the fun of the Fair - and the Festival! We will be taking our produce to a whole range of Festivals and Fairs 2019 and we hope to see as many customers, old and new, as possible. We also hope for sunny days! Yeovil Vegan Market, Yeovil, Saturday, 27 April. Made in Somerset, Somerton, Saturday, 4 May. Shaftesbury Food Festival, Sunday, 12 May. Sherborne Castle Country Fair, Monday, 27 May. 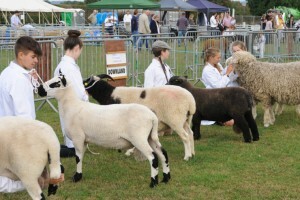 Gillingham & Shaftesbury Agricultural Show,Wednesday, 14 August. Frome Cheese Show, Saturday, 14 September. Sturminster Newton Cheese Festival, Saturday, 14 - Sunday 15 September. Abergavenny Food Festival, Saturday, 21 - Sunday 22 September.